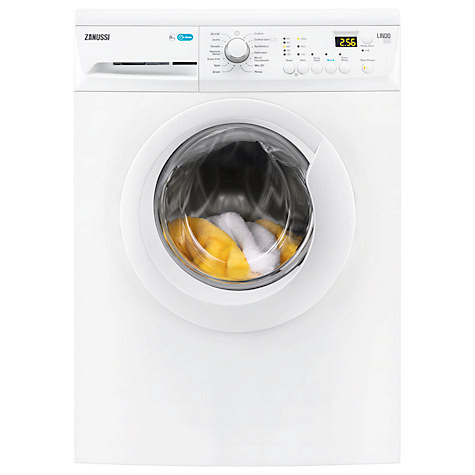 Let the Zanussi ZWF81441W washing machine make your at-home laundry tasks a whole lot easier and more efficient. Demonstrating an impressive A+++ for energy efficiency, this model could save you money on running costs and ensure your home remains environmentally responsible. The 8kg drum provides ample room for your laundry, while a 1400rmp spin power creates a powerful clean. There are also 14 programmes to choose from for anything from cold fill to quick wash.
Not only design to get your washing done quicker, this handy function also reduces the duration of your washing cycle by up to 50%. 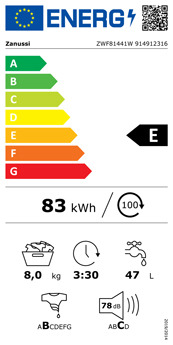 Delay the start time of your wash cycle by a whopping 20 hours to make use of lower energy costs throughout the night or when the time is most convenient for you.